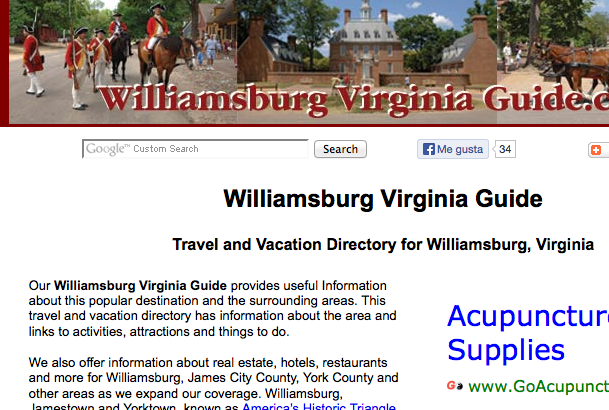 This Williamsburg Virginia Guide is organized to provide and help you find useful Information about this popular destination and the surrounding areas. This travel and vacation directory will have information about the area and links to activities, attractions and things to do in the region. We also offer information about real estate, hotels, restaurants and more for Williamsburg, James City County, York County and other areas as we expand our coverage. Williamsburg, Jamestown and Yorktown, known as Virginia’s Historic Triangle are some of America’s favorite vacation destinations. 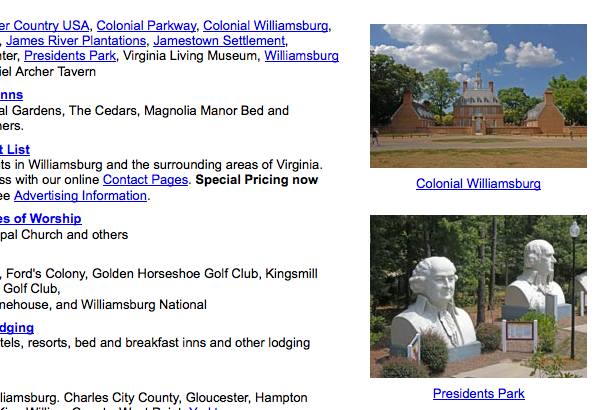 Centrally located between Virginia Beach and Richmond, the Williamsburg area offers something for everyone. 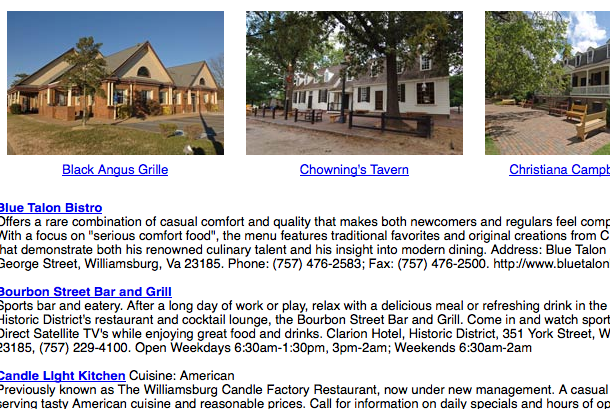 Visit our website at http://www.williamsburgvirginiaguide.com/ for more information.